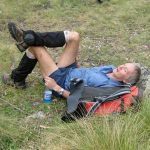 Although Neil Fahey has been the man behind The Bushwalking Blog since day one, many amazing adventurers, writers, photographers, and other experts in their fields have contributed content over the years. This is the complete list of contributors to The Bushwalking Blog, no matter how big or small their contribution. Check them out below and click through to their other work, or read their articles on The Bushwalking Blog. If you’re interested in becoming a contributor, please see the Guest Posting page. 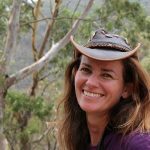 When she’s not scrambling down rainforest gullies in East Gippsland and getting lost in the fog atop Mt Baw Baw, Sarah writes and engages online for the <a href="http://www.acfonline.org.au/">Australian Conservation Foundation</a> and coordinates <a href="http://www.eco-shout.org/">Eco-shout</a> environment network. Bill lives in regional Victoria with his wife and two teenage boys. 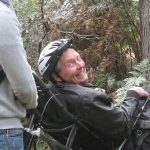 He still enjoys bushwalking, cycling and paddling after 35 years of adventures. Last year he walked Larapinta end to end, Croajingolong from Pt Hicks to Wonboyn, Frenchmans Cap and Mt Bogong in winter. He also spent 72 hours tent bound in fog near Mt Anne in SW Tasmania on a failed solo attempt at the circuit. He is currently transitioning to lightweight equipment and techniques. 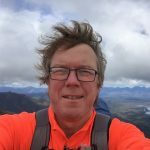 Bill is part of The Bushwalking Blog's review team. Peter Grant lives in the foothills of kunanyi/Mt Wellington near Hobart. For 24 years he worked with Tasmania Parks and Wildlife Service as manager of interpretation and education. 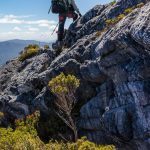 A lifelong bushwalker, he has tramped all over Tasmania, as well as parts of New Zealand, Alaska and Europe. He recently retired to spend more time bushwalking and writing. 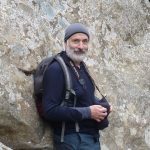 He blogs at <a href="http://naturescribe.com">Nature Scribe</a> and is a member of The Bushwalking Blog's review team. Tim is a hiker and mountain biker with a passion for specialty coffee and for enjoying it in the wilderness. 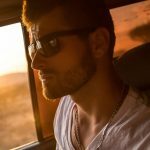 He brews coffee anywhere and everywhere, whether practical or impractical, and he documents his passions on his website, <a href="https://bikehikebrew.com/">Bike Hike Brew</a>, and also his <a>Instagram account</a>. 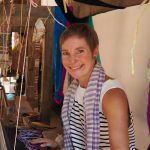 Lori Fahey is a reformed <a href="http://rrsahm.com.au/">mummy blogger</a> and lapsed writer who now communicates vicariously via other people's websites. A mum of two little people, she likes to sleep, geocache, and spend too much time on the internet. Michael is an avid bush walker, hopeless climber, and adventure racer from central western NSW. 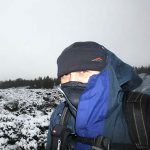 He's part of The Bushwalking Blog's gear review team. Sam is currently studying a Bachelor of Outdoor and Environmental Education at Federation University. 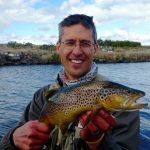 He is an aspiring adventurer and outdoor leader and enjoys sharing his passion for wild places through writing. See more of his work and get in touch via his blog at <a href="http://sambochristie.wordpress.com/">Sambo Christie</a>. "Shortish, female and crazy", Lee has been mucking about outdoors since she could walk and possibly before. Her first overnighter was (the real) Lake Pedder when she was 13. She's been travelling, bushwalking. caving, diving, kayaking, scrambling and taking too many mediocre photographs all over Australia and occasionally overseas ever since. She's now part of The Bushwalking Blog's review team. 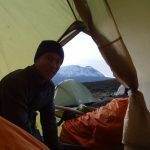 Michael is a hiker (and aspiring ultralight hiker) with six years experience, hailing from North Queensland. He also likes a good paddle when he gets the chance. He's been an active member of his local State Emergency Service for five years, conducting searches for missing people in addition to cyclone response. He's a member of The Bushwalking Blog's review team. Michael Connolly (aka "Nudeyman") is a naturist and an advocate of the naturist / nudist lifestyle. He also runs a Facebook page called <a href="http://www.facebook.com/australiannaturistnews">The Australian Naturist News</a>. Amanda King, from the New South Wales far north coast, loves anything to do with being outside but particularly walking. She started her blog, <a href="http://walkandwines.com">Walk and Wine</a>, to share some of her hiking stories and encourage others to get out there and enjoy this great country of ours. Her passion is exploring Australia through walking and wine. Rebecca is a podiatrist from Esperance in Western Australia. She received her BSc (Pod) in 1993 and is a member of Sports Medicine Australia (SMA) and the Australian Academy of Podiatric Sports Medicine (AAPSM). She blogs at her website, <a href="http://www.blisterprevention.com.au">Blister Prevention</a>. Rebecca is lucky enough to enjoy the wonderful coastal walking trails of the Esperance region. Sara is a mom, professional life and leadership coach, and wilderness first responder certified Grand Canyon guide. She started <a href="http://www.liveboldlycoaching.com">Live Boldly Coaching</a> to give others the ability to take hold of and love their own life, regardless of their circumstances. Stef from <a href="http://toothbrushnomads.com">Toothbrush Nomads</a> has been blogging her travels for six years, and has even won herself a Lonely Planet Travel Blogger Award for doing so. Stef has recently decided to close her blog, but still posts at the <a href="https://www.facebook.com/ToothbrushNomads/">Toothbrush Nomads Facebook page</a>. Stephanie Yip is Travel Expert at comparison site, <a href="http://finder.com.au">finder.com.au</a>. She was previously the Editor of DMAG Magazine and has written for publications such as Easy Jet’s Traveller, Thomas Cook’s Travel and The Brag. She is an avid hiker and solo traveller. Sometimes both at the same time. Born and raised in Santa Barbara, Robert Foster is a professional personal trainer, certified in kettlebells, TRX and group training. 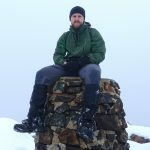 He’s an experienced mountain climber and a cyclist, who writes about his experiences on <a href="http://prosurvivalist.com/">Pro Survivalist</a> from time to time. 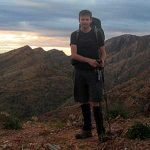 John is a blogger for The Hiking Society, an Australian outdoors blog with a focus on hiking and camping. <a href="http://www.thehikingsociety.com.au/">The Hiking Society</a> can also be found on <a href="https://www.facebook.com/thehikingsociety/">Facebook</a>, <a href="https://www.instagram.com/thehikingsociety/">Instagram</a> and <a href="https://twitter.com/HikingSocietyAu">Twitter</a>. 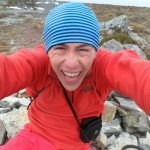 Ben is a nature lover who writes gear reviews, hiking how-to’s and trip reports for <a href="http://hike-australia.com/">Hike Australia</a>. 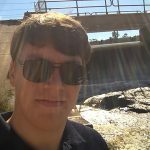 Ian, from Alexandra in Victoria, works for Parks Victoria blogs about his hiking adventures at Folly in the Outdoors. Caro Ryan is a blogger and vlogger from the Blue Mountains, who usually writes for <a href="http://lotsafreshair.com">Lotsafreshair</a>. She's also a Bushwalkers Wilderness Rescue Squad member. David Stratton is the nature lover who brought the Trailrider to Australia. 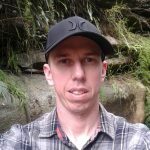 He writes about his hiking trail experiences and spreads the word about the Trailrider at the <a href="http://trailridertales.blogspot.com.au/">TrailRider Tales blog</a>. Dayna Andreussi writes about all kinds of things (but mostly hiking) at <a href="http://daynaa2000.wordpress.com">Dayna's Blog</a>. Since moving to Melbourne from Brisbane for love a few years ago, she's also fallen in love with Victoria's wild places. Dustin runs <a href="http://slickandtwistedtrails.com/">Slick & Twisted Trails</a> - a blog for hikers & backpackers who shun the beaten path. 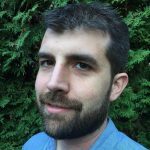 Based on Canada's Vancouver Island, Dustin is always on the hunt for those rare, less-traveled routes through the wilderness. Emma is a highly experienced Australian Accredited Practising Dietitian, who specialises in nutrition communication. 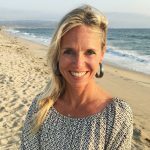 She is a blogger at <a href="http://www.scoopnutrition.com">The Scoop on Nutrition</a>, a health writer for magazines, a media commentator, and runs a nutrition consulting business for the food, health, and hospitality industries. Isabella is editor of <a href="http://MadOutdoorist.com">MadOutdoorist.com</a> and was born into a lovely family that loves nature and adventure. Her goal at Mad Outdoorist is to provide you with all the information you need for a successful out-of-city adventure. 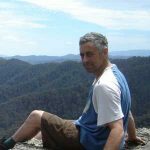 John is a passionate hiker and hiking group leader who blogs about his hiking adventures in the ACT and New South Wales, at <a href="http://www.johnevans.id.au/">Johnny Boy’s Walkabout Blog</a>. Jane, from Brisbane in Queensland, is a nature-loving hiker and cyclist. 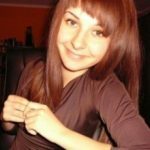 She blogs about her hiking adventures at her blog, <a href="http://mildlyextreme.com">Mildly Extreme</a>. 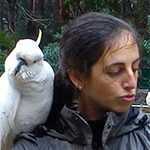 Charismatic conservationist, koala field researcher, inspirational speaker and passionate communicator of wild Australian mammals, birds and reptiles. Known for her big smile, bubbly enthusiasm and Aussie Bush Hat, Janine will leave you inspired. Janine started not for profit charity, <a href="https://koalaclancyfoundation.org.au/">Koala Clancy Foundation</a>, and is also one of the founding members of the <a href="http://www.australianwildlifecollection.com/">Australian Wildlife Collection</a>. Jill is from the Gold Coast. 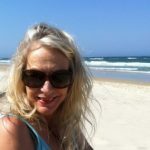 She blogs about her hiking trips at <a href="http://walkingthegoldcoast.com">Walking the Gold Coast</a>. Jodi is a committed Room to Read volunteer but new to the Spring Trek Team. She's also new to trekking but has had the pleasure of joining Room to Read treks to visit the work that the NGO does in Laos and Sri Lanka. Joe runs <a href="Kepler Track - New Zealand">Nature Rated</a>. He love's spending time in the outdoors. Whenever daily life gets him down he heads to the nearest lake or river with his kayak and my camera and spends time recharging his batteries. He hopes you'll love his no fluff, to the point reviews, and that they'll help you choose the right gear for your next adventure. 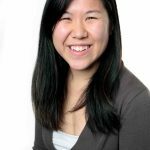 Wendy is a super-connector with Outreachmama who helps businesses find their audience online through outreach, partnerships, and networking. Her professional interest lies in ecology and nature and she often writes about perks of spending more time outdoors, adventure activities and exploring the planet.